Barber’s Chemicals: Over 60 years of trusted, problem-solving expertise. Barber’s Chemicals is a distributor of products for use in the Industrial, Water, Waste Water, Commercial Pool, and Food businesses. We are located in Sharpsville, Pennsylvania and deliver up to 150 miles from our warehouse. In operation since 1959, we have extensive background in solving problems associated with these industries and a commitment to making your process as streamlined and efficient as possible. We do this with the right products, equipment, technology and people so that you can spend your time most effectively. Whether your need is for a commodity, or an out of the box solution to a difficult problem, we will work to accomplish your goal. 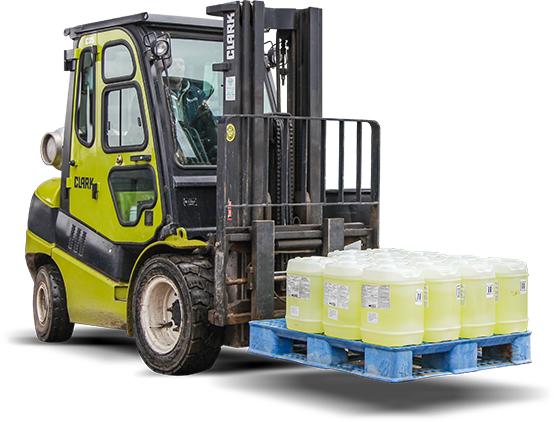 We are supported in our efforts by a large number of chemical and equipment manufacturers, and are confident that we can provide great, on time and competitive service to you. So, enough about us, please let us know how we can best serve you!